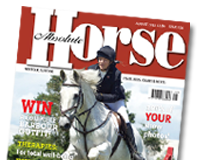 The Absolute Horse Magazine office will be closed from midday Thursday 22nd December and reopen on Wednesday 4th January 2017 at 9am. The British Equestrian Federation (BEF) has announced 34 athletes who have been selected for the UK Sport National Lottery funded World Class Podium Potential Programme for 2016-2018. Acting equestrian Performance Director Sarah Armstrong comments; “It was fantastic to see such a great depth of talent coming forward through the selection trials this summer, and I would like to congratulate all those selected on to the 2016 cohort. The performance pathway for our athletes, both equine and human, is vital to ensure the continued success of our sport in Great Britain and on the international stage. This year’s squad includes Rio Olympic travelling reserve Jessica Mendoza as well as members of this year’s Olympic Ambition Programme and the Paralympic Inspiration Programme, including Hayley Watson-Greaves, Jake Saywell, Millie Allen and Natasha Adkinson. A number of the jumping athletes nominated will also be competing at Olympia next week in the Under 23 British Championships. Among the new Podium Potential squad are Bert Bolton, Imogen Murray, Anna-Mae Cole, Charlotte Cundall, Suzanna Hext and Amanda Shirtcliffe who were on the BEF’s Excel Talent Programme, part of the rider talent pathway. 2016-2018 squad includes Chloe Winchester from Suffolk. Through the World Class Podium Potential Programme, athletes will receive support through world-class coaching, human and equine sports science and medicine, nutrition and sports psychology, as part of an established training pathway.